At the time of this interview, Terry Baker was the Deputy Forest Supervisor for the Arapaho and Roosevelt National Forests and Pawnee National Grassland in Colorado, but he is now Chief Executive Officer at the Society of American Foresters. 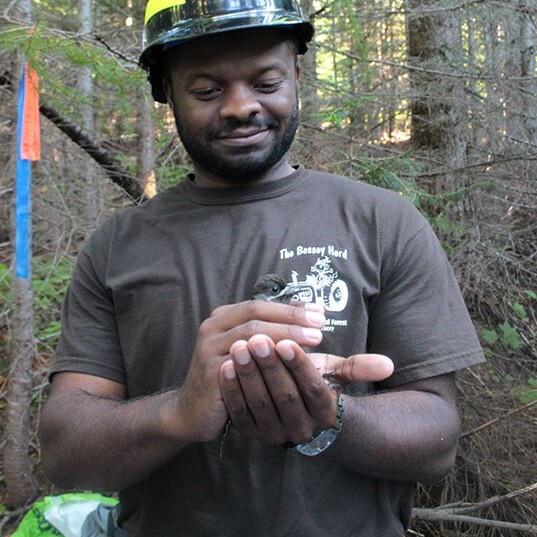 This is Terry’s second appearance on the podcast, and he is the first guest on Season Five, which features Professionals of Color in Forestry and Natural Resources. Today’s episode explores Terry’s experiences as a leader, a leader of color, and a successful natural resource professional. In addition, Terry discusses what the profession needs to do better to attract and retain a diverse talent pool, and he shares some powerful lessons of leadership from an early age. [1:40] A quick intro about Terry’s background. [3:15] How did Terry get into forestry? [13:15] Terry is so glad that forestry found him. He had no idea that this was potential career path. [14:30] Terry shares his thoughts on why there is such a small representation of people of color in forestry and other land management professions. [16:15] Many people of color still have a negative image about working outside, in the woods, and in agricultural-based jobs. [21:40] What has Terry’s experience been like as a forester, a leader, and a leader of color? [35:00] Terry shares a reality that professionals and leaders of color have to repeatedly prove themselves. [43:25] In order to truly achieve an inclusive environment, we have to be willing to have non-defensive dialogues about what’s appropriate and what’s not. [52:00] What does Terry think about the future of forestry? [57:50] Terry offers his thoughts on what it means to build a legacy.